Have there been any recent legislative changes or interesting developments in your jurisdiction on real estate? Regarding legal developments and issues in Indonesia’s real estate sector, two developments are particularly interesting and merit mention here. First, President Joko Widodo recently issued Presidential Instruction No. 3 of 2016 regarding Simplification of Licensing in Housing Construction (April 14, 2016) (“Presidential Instruction 3/2016”). This presidential instruction calls for ministers and heads of regional governments to simplify the policies, requirements, and process to obtain the licenses required for the construction of housing. The issuance of Presidential Instruction 3/2016 follows the announcement of the government’s “one million housing” program, which, as the name suggests, is aimed at building a million houses for lower-income families. It will take time to evaluate the effect of Presidential Instruction 3/2016, but in the months immediately following its issuance, developers reported the same difficulties and challenges in obtaining the necessary licenses, in particular obtaining licenses from regional government authorities (which, due to regional autonomy, have broad authority and discretion in the issuance of licenses for activities within their regions, including for real estate development). Second, another development worth mentioning in the real estate sector relates to the controversy over reclamation work in and near Jakarta Bay. This reclamation work is essentially aimed at creating a new land area in densely crowded Jakarta for real estate developments, be it housing or commercial development. However, the reclamation work has raised a multitude of issues and concerns, including legal issues related to environmental law, administrative law, and anti-corruption law. These issues, along with various political intrigues, including a clash between the central government and the Jakarta administration over the authority to issue the permits and licenses for reclamation work, and protests by environmental activists and residents and fishermen near the reclamation site, have resulted in the reclamation work progressing very slowly (it is currently on hold), placing the developers in an uncertain position. The above snapshot of recent developments in Indonesia underlines a few of the prevalent issues in the country’s real estate sector, i.e., a complex and lengthy licensing process at the regional level and a lack of legal certainty. How would you describe arbitration facilities and processes in the real estate sector in your jurisdiction? Before addressing this question, two things must be noted: first, “real estate” is a very broad subject that touches many aspects of Indonesian law, e.g., administrative law, environmental law, construction law, civil law, agrarian/land law, etc. Second, there is no arbitration facility or process specifically designed to accommodate real estate matters under Indonesian law. Having established this, disputes related to real estate are treated in a similar manner as any other dispute in Indonesia. Concerning dispute settlement through arbitration, Indonesia has enacted Law No. 30 of 1999 regarding Arbitration and Alternative Dispute Resolution (August 12, 1999) (“Arbitration & ADR Law”). Under the Arbitration & ADR Law, parties may resolve a dispute through arbitration only after they have agreed to arbitration as the dispute settlement mechanism. For agreements, including agreements related to real estate (e.g., construction agreements or lease agreements over building or office space), the parties will usually insert an arbitration clause if they prefer arbitration to settle any dispute arising from such agreements. The most widely recognized national arbitration body in Indonesia is the Indonesian National Arbitration Board (Badan Arbitrase Nasional Indonesia or “BANI”). When a foreign counterpart is involved, the parties often choose an international arbitration body such as the Singapore International Arbitration Centre (“SIAC”) or the International Chamber of Commerce (“ICC”) to settle their dispute. The rules of the arbitration depend on the parties’ agreement. As an illustration, if the parties choose BANI to resolve their dispute, the process is (i) submission of an application for a notice of arbitration, (ii) response to the notice of arbitration, (iii) appointment of arbitrator(s), (iv) payment of the arbitration fees, (v) examination of the case, (vi) proceedings, and (vii) award. SIAC, ICC, and other arbitration bodies have different proceeding rules and the parties to an agreement are free to determine which rules they wish to use in the event of a dispute. Indonesia recognizes the enforcement of foreign arbitral awards, as Indonesia is a party to the 1958 New York Convention on the Recognition and Enforcement of Foreign Arbitral Awards, which has been ratified according to Presidential Decree No. 34 of 1981 (August 5, 1981). Foreign arbitral awards must be registered at the Central Jakarta District Court for the purpose of execution. What are the most frequent disputes in your jurisdiction regarding real estate matters? Land disputes are the most common disputes related to real estate matters. There are many reasons for this. Real estate developers often face difficulties in the land procurement process for real estate developments. Land disputes vary and include competing claims of ownership over a portion of land, disputes with disgruntled local communities that oppose a development, falsification of or incorrect information on a land certificate, and even issues of criminal liability. In Indonesia, there are portions of land that are already certificated and those that are not yet certificated. The procurement of uncertificated land, commonly known as adat (customary) land, is more prone to dispute. Due to the lack of a clear certificate from the National Land Office (Badan Pertanahan Nasional or “BPN”), the authorized government agency in charge of administering land in Indonesia, tracing the actual owner of adat land can be difficult and more than one party may claim ownership of the land. It is not uncommon, for example, for one party to claim ownership of land by inheritance and another party to claim ownership of the same land because he or she has occupied the land for a long time. Demarcation of the boundaries of adat land is another source of dispute. Adat land, when acquired by a party, including a developer, is certificated in accordance with the prevailing regulation. But even when a land certificate is obtained from the BPN, the risk of dispute still exists. Other parties could challenge and seek the annulment of the land certificate if they deem its issuance unlawful, e.g. if another land certificate was previously issued to another party for the land, the previous land owner committed fraud by selling the same land to more than one party, incorrect information was used by the BPN for the land certificate, etc. Under the prevailing regulation, a land certificate cannot be challenged after five years from the issuance of the land certificate in the name of a landowner who obtained the land validly. Such land disputes are often settled either by arbitration, as discussed in point 2 above, or court proceedings. For court proceedings, the type of land dispute determines to which court the matter is submitted for settlement, depending on the specific authorities of Indonesian courts. For example, a challenge to the lawfulness of a land certificate issued by BPN will be submitted to the administrative court, which has the authority to annul unlawful certificates and licenses. Equally, it is common for land disputes to be brought for civil court proceedings by tort. The above are only several examples of the type of land disputes that frequently affect real estate development in Indonesia and are far from a comprehensive list. There are also, for example, construction work disputes involving developers/contractors. Parties to a construction contract may choose foreign court proceedings for dispute settlement. However, Indonesia does not recognize the enforcement of foreign court judgments as the country is not a party to a convention for such enforcement. Can you outline the benefits and drawbacks of typical court proceedings regarding real estate disputes? To clarify, there are three types of legal proceedings in Indonesia relevant to the real estate sector, namely civil court proceedings, administrative court proceedings, and criminal court proceedings. 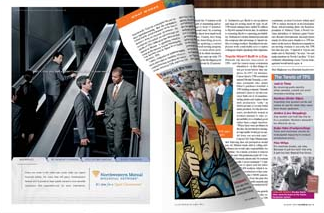 Civil court proceedings deal with issues related to either a breach of contract or tort. Administrative court proceedings deal with claims by parties concerning the issuance of a decree, permit, license, or other forms of approval by the government. Criminal court proceedings deal with the determination of criminal acts. Aside from the above, land inheritance disputes may also involve proceedings in (i) the religious court for inheritance under Islamic law and (ii) civil court for inheritance under non-Islamic law. The benefit of court proceedings is that court fees and expenses related to handling a dispute are low. Another benefit, particularly for civil court proceedings, is that the procedural mechanisms require the parties to enter a mediation process before the proceeding advances to its merits. This provides the opportunity for a dispute to be settled amicably between the parties without a court judgment. This does not fall under the category of benefit, but administrative court and criminal court proceedings are necessary because the issues these courts have jurisdiction over (administrative and criminal law) cannot be resolved by any other means, such as arbitration or alternative dispute resolution. As to drawbacks, court proceedings in Indonesia tend to be lengthy. It can take up to two years to reach a final and binding decision, bearing in mind that the decision of a lower court can be appealed to a high court, and a cassation can be filed for with the Supreme Court. For real estate developers, exposure of their involvement in court proceedings can cause damage to their reputation and good name. Can you outline the advantages and disadvantages of alternative dispute resolution for real estate matters? Under the Arbitration & ADR Law, alternative dispute resolution (“ADR”) is defined as a dispute resolution mechanism agreed to by the parties that does not involve court proceedings, as a result of consultation, negotiation, mediation, conciliation, or expert assessment. Unfortunately, the Arbitration & ADR Law does not define each of these ADR methods. The Arbitration & ADR Law tends to leave the mechanisms for ADR up to the parties involved, but it does stipulate that the result of any settlement through ADR must be made in a written agreement and be registered with the relevant district court within 30 days after the execution of such agreement. The advantage of ADR is that it allows a dispute to be settled without having to use the courts. The drawbacks of court proceedings as explained in point 4 above can be avoided if ADR is applied. Dispute settlement through ADR also respects the confidentiality of the parties related to the dispute. The disadvantage of ADR is that the rules of ADR are not well established in Indonesia. As an indication of this, only one out of 82 articles in the Arbitration & ADR Law, namely Article 6, regulates the mechanisms of ADR. However, as indicated in point 4 above, when a party submits a claim through a civil court it must first enter mediation in an attempt to reach a dispute settlement. This form of mediation is precisely regulated in Supreme Court Regulation No. 1 of 2016 regarding Mediation Procedure in Court (February 3, 2016). What are the main ADR methods used to settle large real estate disputes in your jurisdiction? It is rare for large real estate disputes to be resolved by ADR, simply because ADR methods are not well established in Indonesia (as discussed in point 5 above). Negotiation is of course first sought to prevent any dispute from occurring. But when negotiation fails, real estate disputes, especially land-related disputes, are often brought directly to court proceedings. Out-of-court mediation (mediation outside the required mediation process in a civil court proceeding) may be the best alternative dispute resolution mechanism to prevent a dispute going to court. In a recent development, the Indonesian Minister of Agrarian Affairs, who is also the head of the BPN, has publicly promoted the use of mediation to settle land disputes. The BPN has recently put in place internal regulations and guidelines for the mediation of land disputes. These regulations and guidelines are silent as to whether there will be any fees involved for mediation of land disputes. 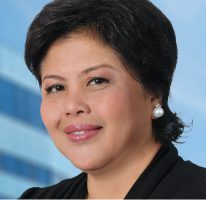 Dyah Soewito is a founding partner of SSEK, Indonesia's largest independent law firm. She heads the firm’s highly regarded real estate and shipping practices. Dyah has deep ties to the Indonesian legal community and government offices, giving her unique insight into the country’s regulatory framework. Dyah is recognized by Asialaw and Chambers Asia-Pacific as a leading practitioner for real estate. She is also recognized for projects and energy, and shipping and maritime law by leading legal publications. Dyah is a graduate of the University of Indonesia Faculty of Law (1977) and was a visiting scholar at the University of California, Berkeley (Boalt Hall) School of Law (1988). 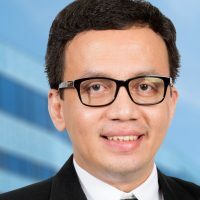 Denny Rahmansyah, a partner at SSEK, is deeply involved in major transactions related to cross-border mergers and acquisitions, cross-border debt restructurings, banking and finance, plantations, private power, and infrastructure projects, with a particular emphasis on real estate and property, including hotels and villas. Denny is recognized by Asialaw as a leading lawyer for corporate/M&A. Denny received his Master of Laws in international economic and business law from the University of Groningen, the Netherlands, in 2009. In 2007, he attended the Academy of American and International Law in Dallas, Texas, where he studied American law from an international perspective.